heres where the klang is right now. 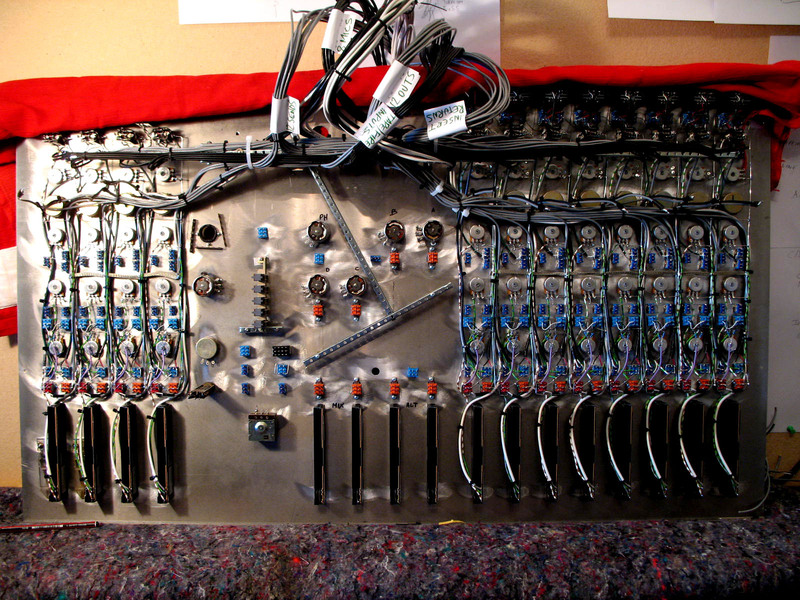 ive been preparing all the channel wiring/circuits ready to build the mixing buses. they will lay horizontal across the channels. nine of them. 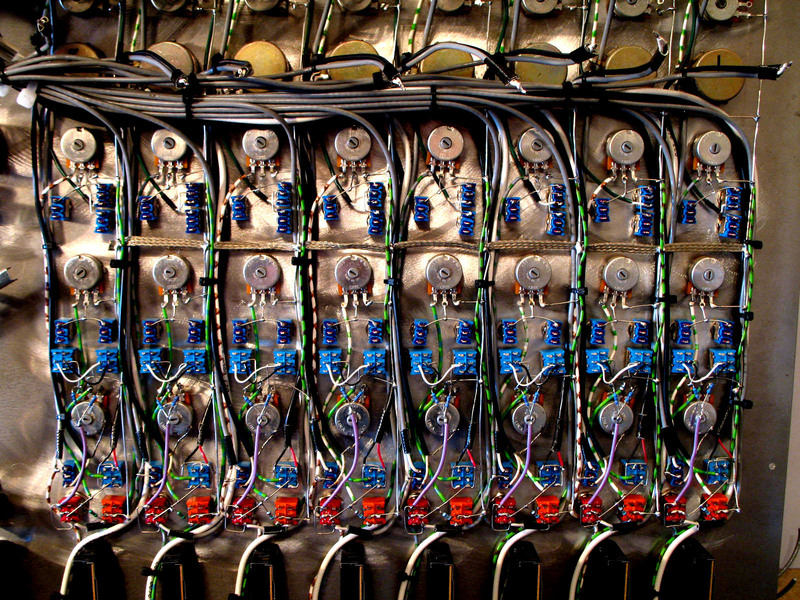 nine hard wired steel buses supported by their mixing resistors. crazy but effective. who need circuit boards. (well. i do actually) this whole top chassis is about 1/2 way finished up to the next step. …. the making of and inserting of my new BUG DOC s . 12 matchbook size handmade discrete operational amps and 9 hi-spec intergrated circuit mix amps. then hifi headphone amp. talkback amp. pfl system . etc etc . my head spins with it all. ohh and then theres the 22 signal power amplifiers .15 zillion connection patching bay . and beauty salon appointments. ← TEN81 BORN ALIVE & KICKASS!